Emilia Clarke knows exactly what Game of Thrones fans want! Ahead of the season 8 premiere, the English actress posted an adorable behind-the-scenes picture in character as Daenerys Targaryen. 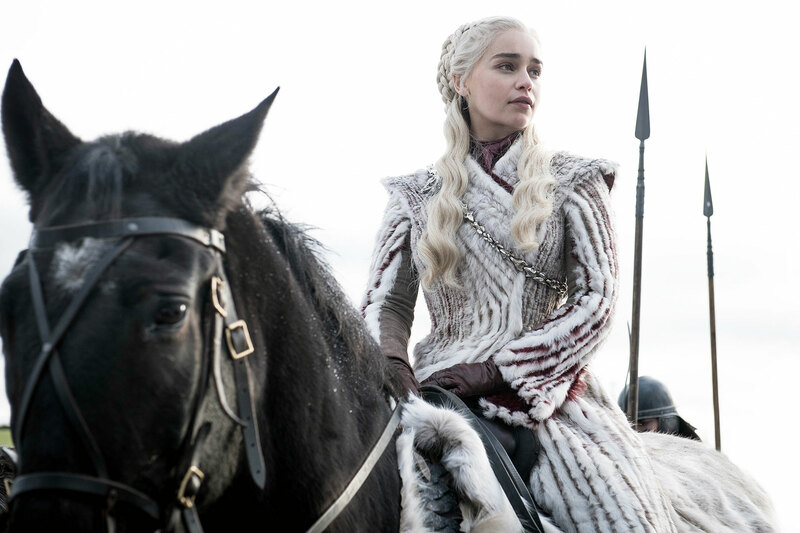 Fans — including celebrities — took to the comments section of Clarke’s post to get hyped for the final season of GoT. “Soooo excited !! !” Reese Witherspoon wrote. ‘Game of Thrones’ Cast: What They Look Like Off Screen! It wasn’t just Clarke who got nostalgic on Sunday night. Lena Headey, who portrays Cersei Lannister on the HBO drama, shared a throwback selfie in character with Hannah Waddingham (Septa Unella). “TS .. it’s happening .. FLASH BACK SUNDAY full disclosure .. I LOVE Septa U .. she’s aces. Can’t believe this is it. May you enjoy so hard the final season of the show that carried us all for a decade,” Headey, 45, wrote alongside the pic. Sophie Turner (Sansa Stark) also got in on the Instagram fun. “In honour of the final season of Thrones premiering tonight …. Here’s a picture of me asleep on set,” the Dark Phoenix actress, 23, captioned a pic of herself. The first season of Game of Thrones aired in 2011 and also stars Peter Dinklage (Tyrion Lannister), Kit Harington (Jon Snow), Nikolaj Coster-Waldau (Jaime Lannister) and Maisie Williams (Arya Stark). Game of Thrones airs on HBO Sundays at 9 p.m. ET.